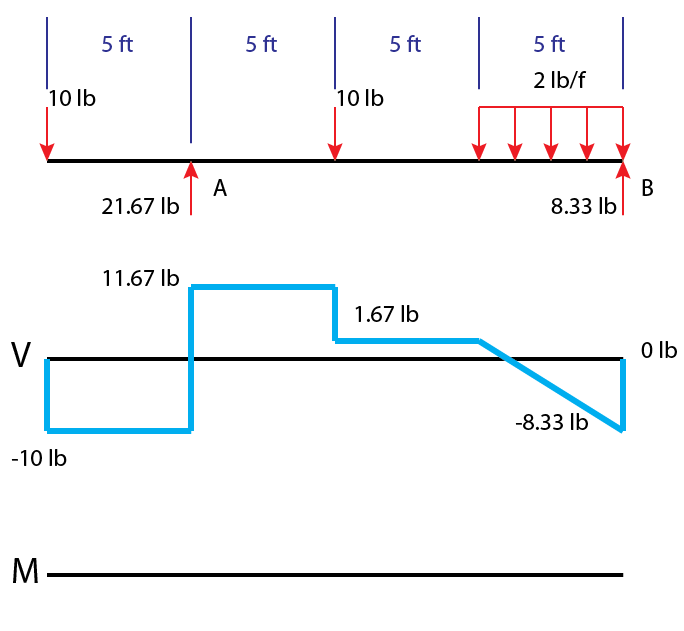 Shear diagrams are an easy way to visualize shear values along a beam or member and also reveal the maximum positive and negative shear values. The first step will always be to simplify any and all load distributions into point loads and to solve for all exterior reactions. 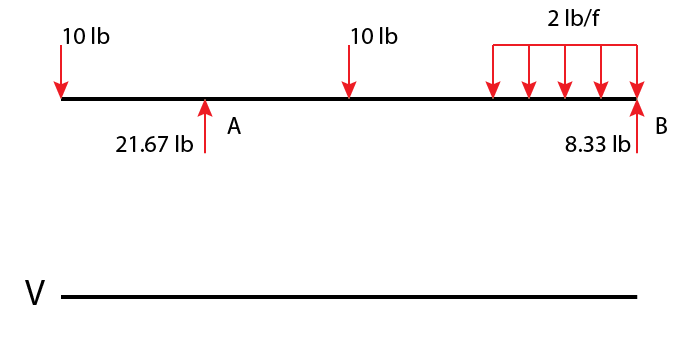 Begin the shear diagram by drawing a horizontal line, this is the line for zero shear. 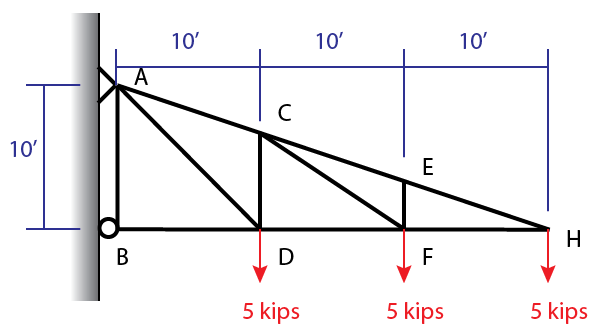 I like to draw my shear diagrams directly below the actual member so that they line up and I designate my shear diagrams with a big V.
The beam is 20ft long divided into 5 foot sections. The first step in many problems is solving for reactions, here is an example of some situations that you may encounter.